In previous years, with the target of suppressing the Kurdish people and other peoples of Iran who want freedom, equality and justice, the Islamic Republic of Iran, Apparently under the Islamic law enforcement, they have carried out mass crimes. Two kinds of the crimes that occurred on the 6th of January 2010 and 5th of January 2011 in the prison of Khoy (Xoy) and Urmiye, In which a political activist and freedom fighter Fasih Yasamani and a vanguard, named Hossein Khezri were executed. 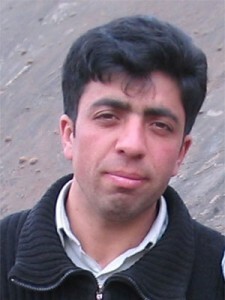 Fasih Yasamani, known as Dara Kotol, three years and 6 months before the execution, along with 5 other persons from same village, one of which was his grandfather got arrested, and then at the Urmiye court for alleged membership in the PJAK (Free Life Party of Kurdistan), was sentenced to death. He was tortured for months under the Islamic Republic’s Ministry of Intelligence of Iran. Finally the 27-year-old father of two children Fasih Yasamani on January 6, 2010 got executed. At the time, the government officials have vowed to Fasih Yasamani’s family, 6 months after the execution they will be able to pick up his dead body, but his body wasn’t delivered to his family at all. The Islamic republic of Iran aims homeland lovers and freedom seekers as Fasih Yasamani’s to Intimidate them for by taking away the Kurdish freedom movement and any liberation activities, But the opposite has happened, Over the last 5 years, characters as a Fasih Yasamani’s become a Kurdish heroes and thousands of Kurdish people for freedom and revenge of freedom seekers as Fasih went to the Qandil mountains and joint PJAK to Stand against the invaders. Hossein Khezri (Hisên Xizrî), known as Hêmin Urmiye, a PJAK scout and military personnel was born in 1982 in city of Urmiye, and in 2003 as a civil rights activist and civic activities began. 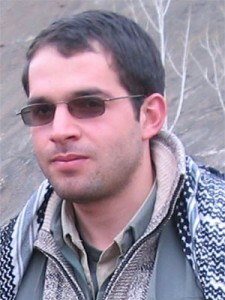 In the June 29, 2008, when Hossein Khezri went to Kermanshah (Kirmaşan) for civil research, After a day at the Terminal of the city he got arrested by the Iranian Revolutionary Guards, and after 49 days of heavy torture in detention centers of Sepah (Army of Guardians) he transferred to the detention center of Al-Mehdi in Urmiye. After four months in solitary confinement, they let him see his parents and at the April 6, 2009, they transferred Hossein Khezri to the central prison of Urmiye. The political prisoner in the same month in court with representatives of government, security officials and Iranian Revolutionary Guards intelligence during 10-minute session in army court, he sentenced to death penalty. Finally, The Islamic Republic of Iran broadcasting, and some news on the 15th of January 2011, without name and profile reported that a member of PJAK got executed by the Islamic Republic of Iran in prison of Urmiye. Since the Iranian judicial authorities are giving wrong information regarding the date and time execution of Hossein Khezri to his lawyer and his family, also still unclear when Hossein Khezri was executed. But according to the other prisoners they were with him in prison, in the morning of the January 6, 2011 Hossein Khezri got executed on anniversary of political activist and freedom seekers Fasih Yasamani’s which was executed in a previous year in prison of Khoy. Hossein Khezri in one of his letter from prison to discrimination by the Iranian authorities had referred the Kurdish political prisoners. Hossein Khezri mentioned In the letter about his situation which got heavy tortured for 8 months in solitary confinement in prisons of Kirmaşan and Urmiye and written about unfair proceedings in regime‘s court. Hossein Khezri said, I told the judge in court the confessions that you put on my trial, or the case they made up for him which forced him to say what they want by heavy torture and forced him to sign which was unfair and injustice and even void under article 38 by the constitution, but they did not listen to my words neither to doctors approval which they approved his torture by the prison authorities. In my ten-minute trial at the court, on charges of Moharebeh or enmity with God, without the right to have a lawyer was sentenced to death. I accuse the enemy of God, while I did not have another activity other than social and political activities, and was not armed when arrested, for these reasons, the court’s assertion of my enemy with God wasn’t true. Hossein Khezri often and for no reason have arrested and kept in solitary confinement centers by the Iranian Security Guards. Ali Khezri, the father of Hossein Khezri also had gone to Intelligence Office to tracking the fate of his son, after the insult and affront to Ali Khezri by the Iranian security guard believed that his son had been executed, because of that, Ali Khezri suffered a heart attack and lost his life. Hossein Khezri execution caused widespread protests against Iran regime throughout Iran and some European countries. 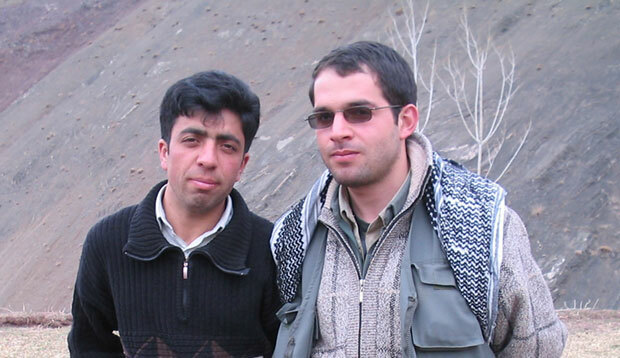 Kurdish people and Free Life Party of Kurdistan (PJAK), symbolized Hossein Khezri as his continuing resistance and Farzad Kamangar and his comrades Inmate in prison.